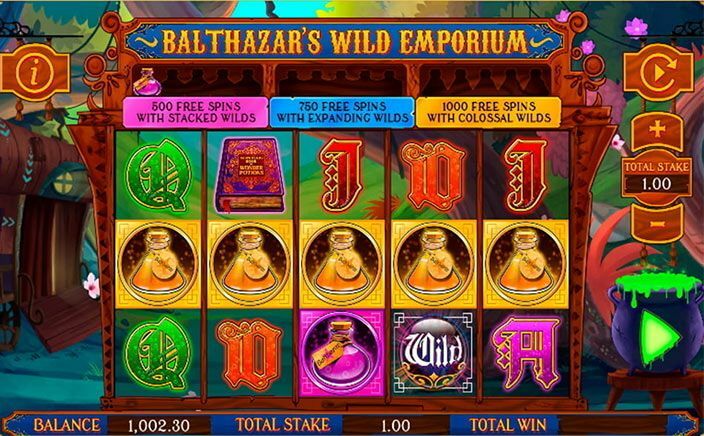 Balthazar’s Wild Emporium is a brand-new slot game by Core Gaming. This slot game is beautifully designed with five reels and twenty paylines and is accessible across all desktops, tablets as well as mobile devices. The minimum and maximum bets that players can play ranges from £0.20 to £100.00 per spin. This slot game has the medieval theme and centres all around Balthazar, the wanderer magician selling magical potions from city to city. 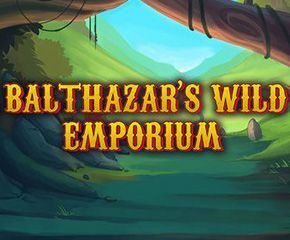 The Balthazar’s Wild Emporium comes with an RTP of 96.02%. The big white ‘Wild’ is recognised as the wild icon and it can substitute for all icons for forming winning combinations but except for three potion bottles. The alluring graphics and synthesiser soundtrack are captivating and do a proper justice with the theme of this slot game. To activate this free spins round, the players must land two scatters, of similar colour, consecutively, beginning from reel one. The number of spins that will be awarded will depend on the type of scatter which triggered free spins round. In addition, relying on which scatter activated the bonus round, free spins have an extra feature. Pink scatter- can reward up to 500 -free spins with stacked wilds. Blue scatter- can reward up to 750 -free spins with expanding wilds. Gold scatter- can reward up to 1000 -free spins with colossal wilds. However, one should always remember that maximum amount of free spins can be won only by playing “Free Spins Gambling feature”. Snake Eye – icons will get transform for establishing a guaranteed win. Potions Wild – summed up a colossal wild or a wild icon upon the reels. Dr Burns – blaze away from the icons for forming a guaranteed win. Deja Vu – reels will get rewind for disclosing a potion bonus icon. Magic Respin – reels will respin for rewarding a guaranteed win. Balthazar’s Wild Emporium slots has amazing bonus features along with smooth gameplay which is enough to lure the slot players. Also, it has medium variance and the players can enjoy a maximum jackpot of 5,00,000 coins during their gameplay.